Sophronia continues her second year at finishing school in style - with a steel-bladed fan secreted in the folds of her ball gown, of course. 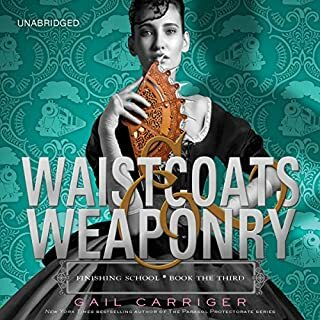 Such a fashionable choice of weapon comes in handy when Sophronia, her best friend Dimity, sweet sootie Soap, and the charming Lord Felix Mersey stowaway on a train to return their classmate Sidheag to her werewolf pack in Scotland. No one suspected what - or who - they would find aboard that suspiciously empty train. So long but not goodbye? Carriger has done it again. 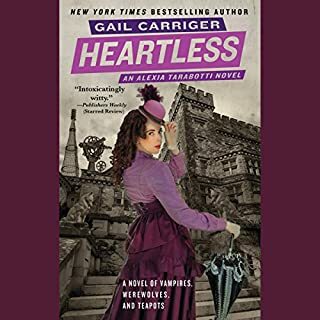 The final installment of the Alexia Tarabotti series is just as engaging as the first 4 books. 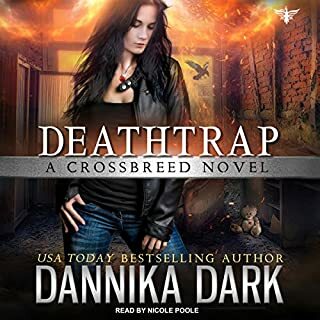 BUT in many ways, this book is more satisfying because we see happiness and closure for most of the main characters with just enough tantalizing loose ends to keep hope alive. Thank you Gail for bringing such a vividly entertaining world to light. I have enjoyed Alexia?? ?s story and hope to read more about this steampunk world in the future. As always, Emily Gray is brilliant. The entire series has been delightfully unique and original, thoroughly enjoyable. The entire series is a must read: Souless, Heartless, Blameless, and Timeless; but start at the beginning. 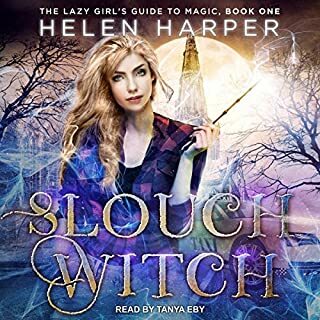 Emily Gray's narration is pure perfection! 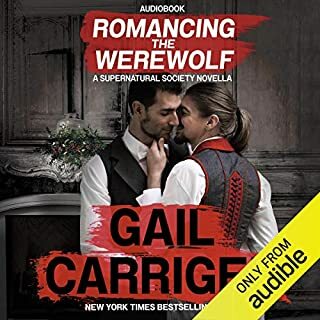 This series has become one of my favorites and it will be a go to book when I need a lift, especially in audio narrated by, the wonderful Emily Gray who embodies every character so perfectly. Oh my how do I review this book without spoilers! 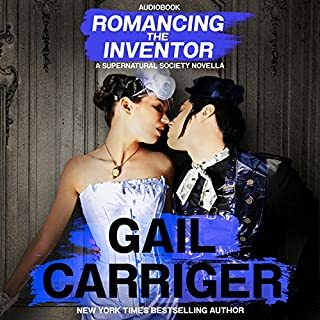 In which I am sad this is the end of this series… Please reconsider Miss Carriger!!! This book was great and as hilarious as to be expected from this author! 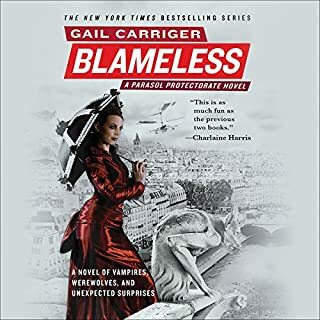 It was also bittersweet knowing that this is the last book in this series I guess the only consolation is that we do get new books with Prudence, and a YA series set in this same world, which I’m sure will be great! 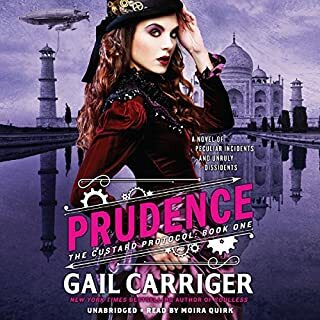 Speaking of Prudence her parts in this book made me laugh out loud Dama Dama No wet! However for being the end of a series it really didn’t wrap up in fact some people’s stories just began (no spoilers). So in some ways the ending was bit unsatisfactory only because of the knowing that it is the end, I will so miss Alexia & Conall! 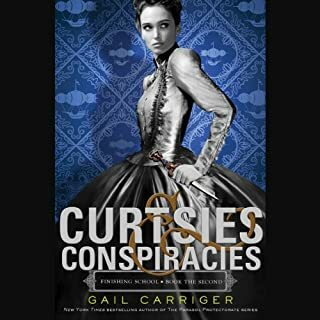 I look forward to anything else Miss Carriger writes because I’m sure they will hook me just as much as this series has! What a wonderful way to end Alexia's story and give the beginnings of another. The author takes us on a whirlwind journey where one never knows what exactly is going to happen next. Elements from previous books all come together in this final one while at the same time, still giving us some mysteries to ponder over. I am going to miss Alexia terribly. 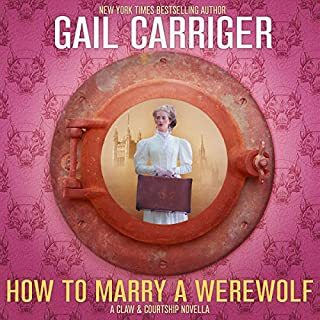 These books, I blush to report, feature Werewolves and Vampires in Victorian London, with a generous serving of steam punk on the side. 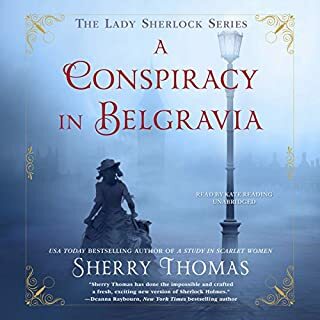 Our heroine, Alexia Terrabotti, in addition to her abiding interest in proper dress and behavior, has a passion for tea (Assam) and treacle tarts. Shamefully, I have downloaded ALL of these silly books, and am now listening to the 5th one. 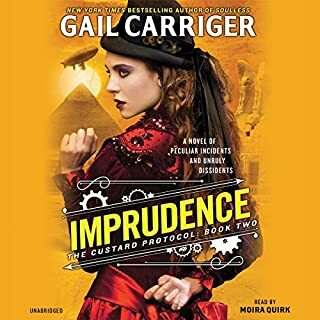 Comic book stories, silly affected language (on purpose), extravagant Victorian costumes and foods, and a certain amount of bodice ripping. What?? ?s not to like, as they say. I just love this series! 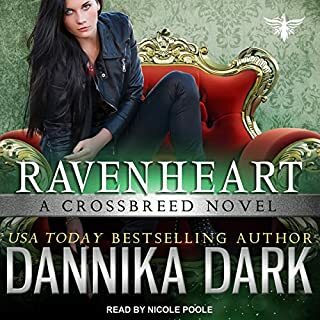 Its fun but still has enough story to make it worth listening to and look forward to the next book. Emily Gray is doing a lovely job of narrating and her Lord A is perfect. 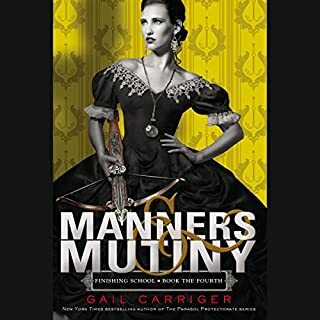 I like my steampunk done witty and light and Gail nails it. Perfect to listen to while cleaning the house, it will make you laugh and keep you scrubbing dishes even when its your least favorite chore! 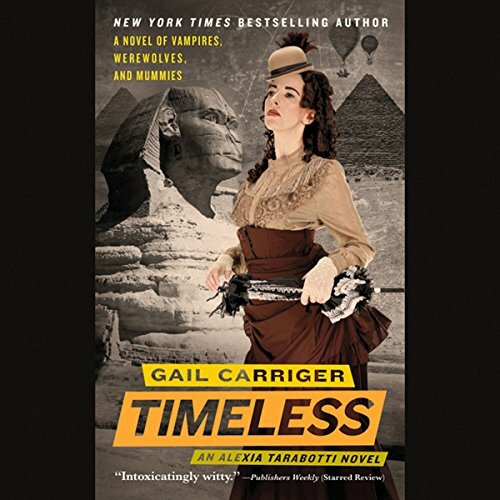 Timeless wrapped up the Parasol Protectorate Series perfectly. Mysteries were solved, additional twists continued, all my favorite characters survived, and a two year old (who spoke in sounds, one word answers, and occasionally simple sentences) was introduced. Prudence was played as well as any of the other characters. 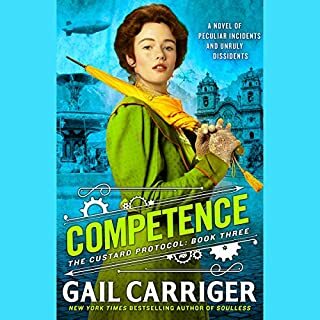 With little material to work with, the author/narrator brought her to life with a very definite personality. Timeless not only wrapped up the series, but was a well thought out lead in to the next series. Start with Souless, read the series in order, and enjoy. 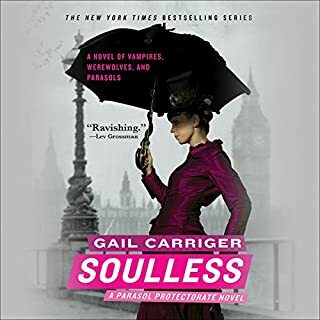 I look forward to further audiobooks by Gail Carriger, and hope that Emily Gray narrates them as well. I love this entire series. This author just has a way of making each book different and unique. The story line is a different take on the vampires and werewolf themes and has nice twists. The dry humor is a fun treat and you end up liking all the different personalities. I would rate the whole series as a good listen. 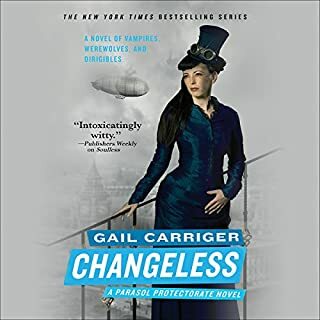 I don't usually go for the "steam-punk" genre but this series is really great. I waited until I had finished the series before writing my review just in case I didn't like it but I do. 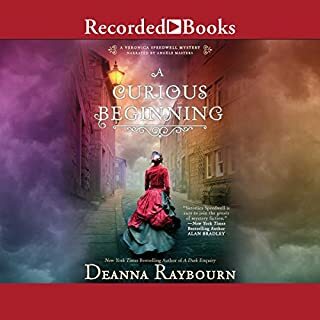 I thought this series was very well written and all of the characters are well rounded and engaging. Alexia, Conal and crew are wonderful. I truly enjoyed how all of the characters grew as the series progressed. I'm not going to give anything away but I really wanted Ms. Carriger to know she is doing a great job!